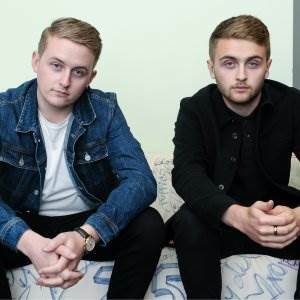 Disclosure are an English electronic music pair made up of brothers Howard and Guy Lawrence. The brothers were raised in the town of Reigate in South East England by musical parents. Their father was in '80s bands characterized to The Guardian by Guy as "Hall and Oates meets Led Zeppelin and Go West. He looked like all the members of Duran Duran combined into one." Their studio album, Settle, consisted of many popular songs which debuted on 3 June 2013 through PMR, which got nominated for Best Dance/Electronica Album at the 2014 Grammy Awards. They newly released a second album, Caracal, on 25 September 2015 which was also nominated for Best Dance/Electronica Album at the 2016 Grammy Awards.